A major Russian restaurateur Yakitoriya has already closed five restaurants in Kiev, ABCnews reported. According to three chiefs of the restaurant chain, today there is only one Yakitoriya restaurant, located in Academik Glushkov Avenue. “But it has a different owner now, soon the sign will be replaced,” said a former manager of the chain, who wished to remain anonymous. Yakitoriya does not comment on the situation — nobody answers the phone at the company’s office. 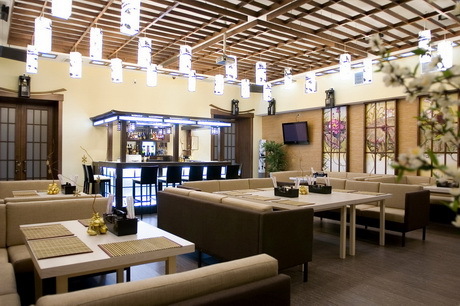 Yakitoriya is a large restaurant chain, which operates 47 restaurants in Moscow and 43 in other regions of Russia. The owners of the chain are registered offshore but, according to mass media, the ultimate beneficiaries are the owner of Novorostsement Leo Kvetnoy, a State Duma Deputy Andrey Scotch and restaurateurs Andrey Burlakov and Oleg Sheykhametov. There are several reasons, for which the chain in Kiev gets closed. Olga Nasonova, the General Director of Restaurant Consulting, says that the chain has had problems with top management officers. “A lot of talented professionals have left the restaurants; top officers told about the Russian head office, losing its interest in Ukraine,” she says. Vitaly Shadchnev, the Commercial Director of World Card (Buddha-bar, Marrakech, Razgulyaevo, Tequila House and so on), says that the prime cost of food in Japanese restaurants is fairly high (they require foreign ingredients), so most of the players have raised their prices. The average check has doubled, scaring customers away.